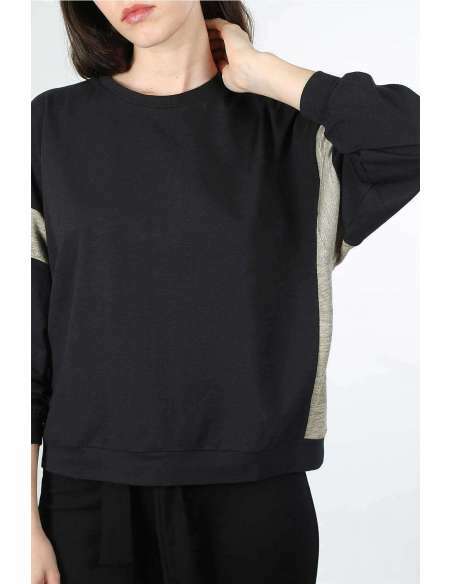 Oversize sweatshirt made in black organic cotton with contrast panels. Organic oversize cotton basic sweatshirt with contrast panels in shoulders and sides, scoop neck. Organic and vegan fashion made in Barcelona. Model wears size S/M and is 5.9 tall. Oversize black sweatshirt, basic made in organic cotton, a must have. Hand made in barcelona in limite edition.